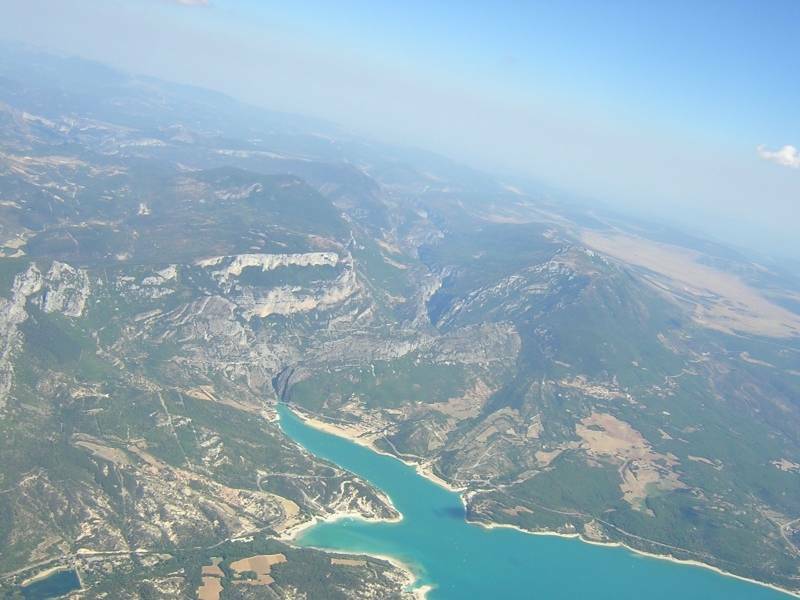 To discover the Verdon Gorge. The impoundment of Lake St. Croix, begun in 1973, was completed in 1975 by reaching the score 482. 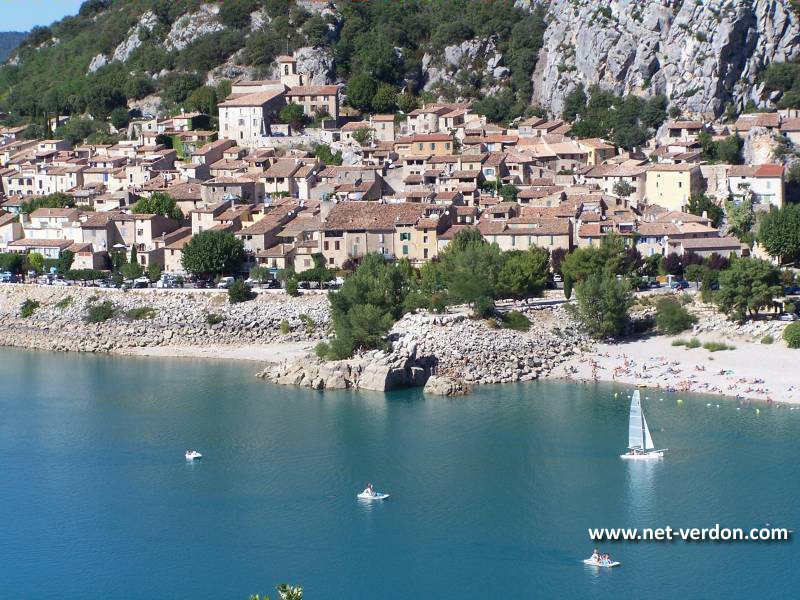 The waves, submerging the valley, also engulfed the old village of Salles sur Verdon, rebuilt on a plateau near. But with it also disappeared in the waters of jade source of Fonthill Bishop and caves of the Paleolithic, and the bridge Aiguines from the Middle Ages ... Treasures that sacrificed to progress the story. But these events remains a beautiful lake, vast, pure water, and surrounded by a landscape which further highlights. 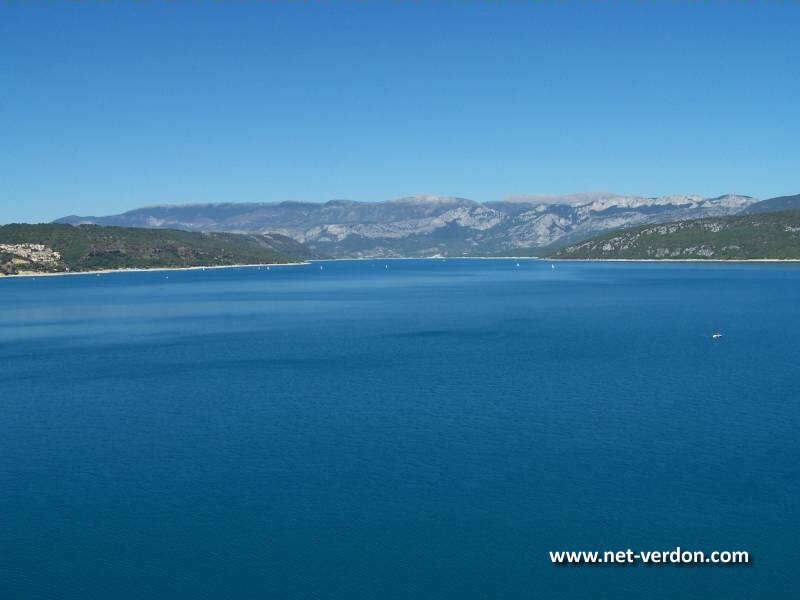 The largest lakes of the Verdon covers an area of ​​2200 ha (10 km long and 3 km wide), bounded on the south by the hydroelectric dam of Sainte Croix and north by the bridge Galetas, where the Verdon Gorges feed into the lake. The dam (thin arch type), built at the entrance of the gorge Baudinard, holds 760 million cubic meters of water over a year and produces over 150 million KW / H. It supplies electricity and many of the towns in its vicinity. 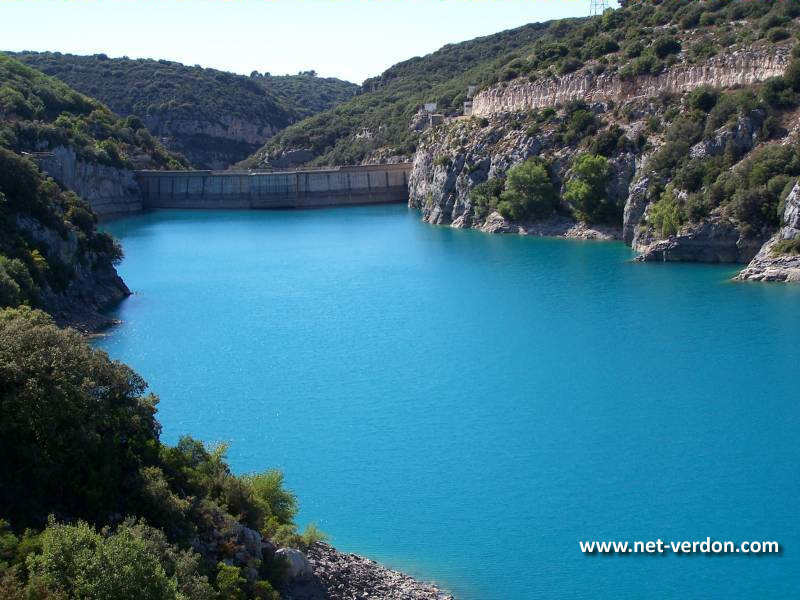 The lake, beyond its usefulness as a water reservoir for the Provence or electricity generation, has become a popular tourist attraction. Set in a magnificent landscape, framed by hills of the Haut Var and Valensole, Lake Sainte Croix offers turquoise waters to the pleasures of travelers. 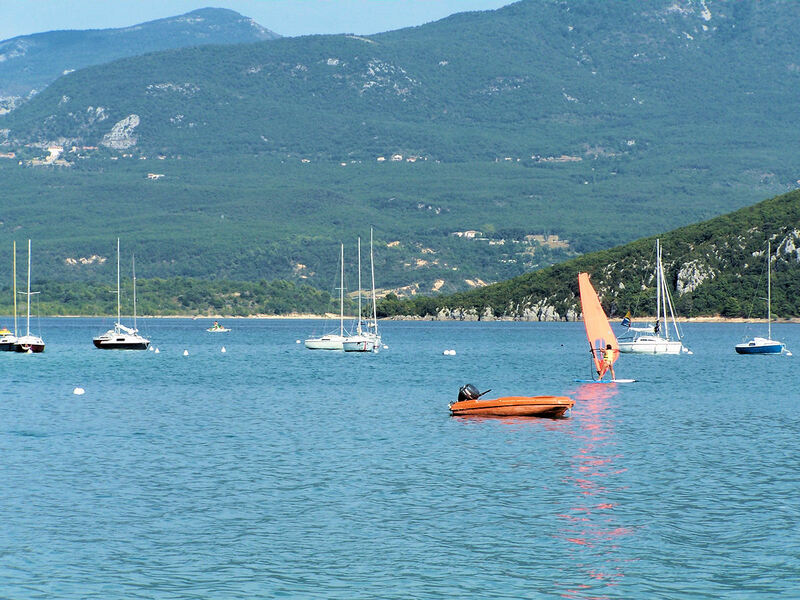 Here you can swim, sail there, electric boat, water cycle, moving up the gorges of Verdon. Only electric boats are licensed to operate on the lake, which guarantees a perfect water quality. Around the Lake St. Croix, but especially on its southern coast, reception areas for tourists are many and perfectly fitted. 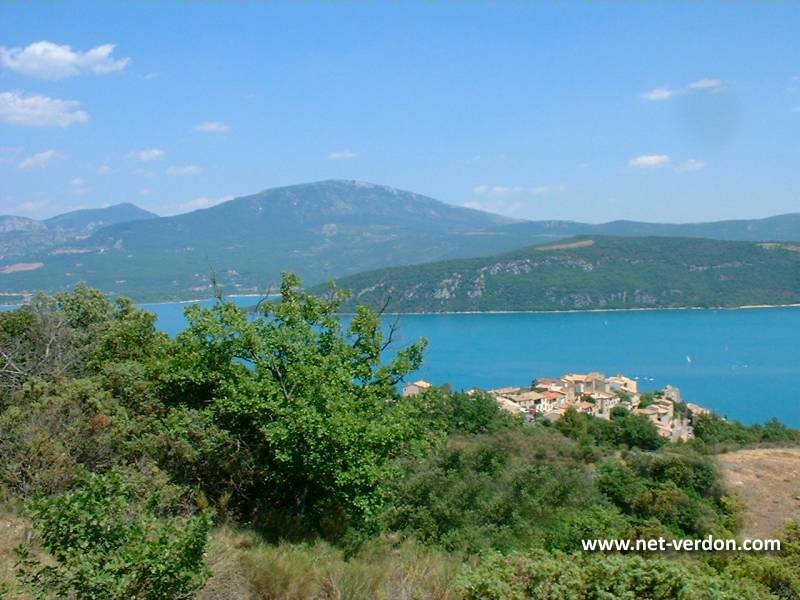 As for the trails that surround the lake, they will offer great walks through the scents of Provence. The Lake St. Croix is ​​a quiet, serene, ideal for spending quality time with your family between swimming, water games and exploring the area. 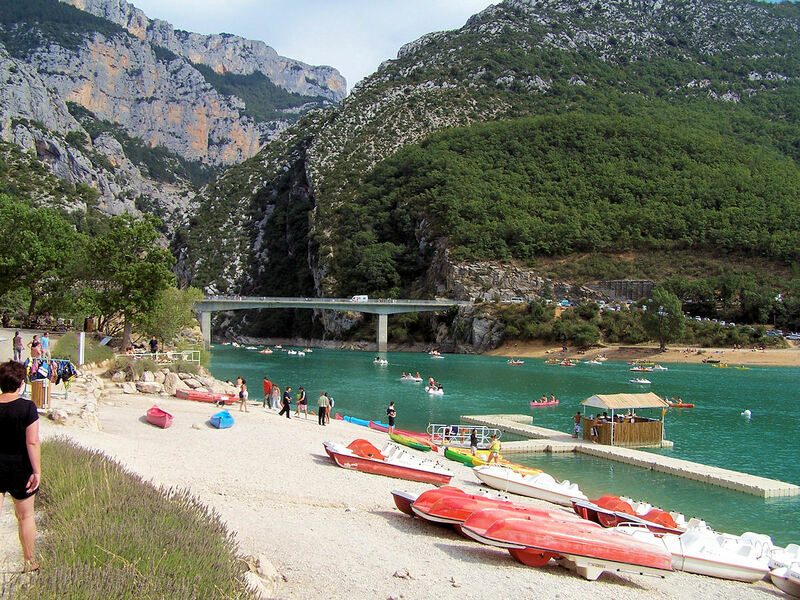 The more adventurous can even try rafting in the Verdon Gorge. The north coast of the lake on the Alpes de Haute Provence, is bounded by the Valensole where you will find vast fields of lavender. Do not miss to visit Moustiers Sainte Marie to admire its beautiful streets, but also its production of high quality earthenware. You have the same opportunity to paragliding. 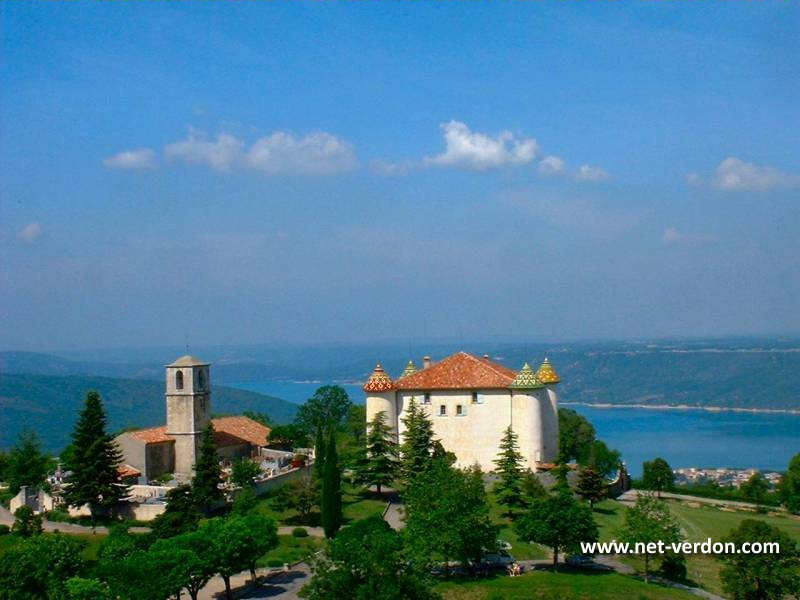 These tourist hotspots such as the Sainte Croix lake and its surrounding villages will undoubtedly charm you and dazzle you ! 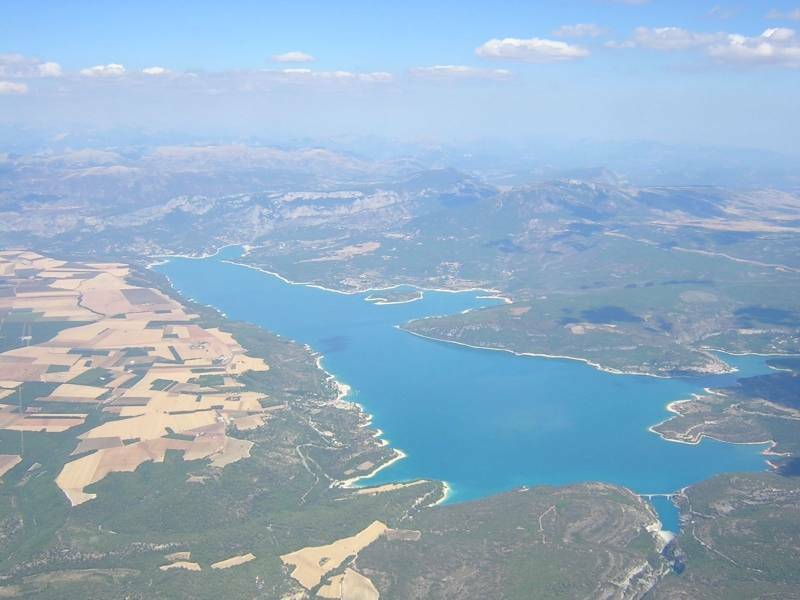 And further, by continuing your descent Verdon, you will meet of Quinson deductions, which gives access to low gorges, and Esparron, with its water so inviting.